The irony with the Gold King Mine spill may be thicker than the toxic waste. The same EPA, that apparently didn’t know what happens when you blow a hole in a dam, claims clairvoyance when it comes to predicting the future climate. Three centuries into the future. And not just big-picture stuff. For instance they have calculated the dollar impact your current microwave oven’s digital display will have on climate for every year until 2300 (this is not a joke). However bad will be the impact of the Gold King Mine spill on the Colorado watershed, and on those who live near and depend on that water, the overall impact of the spill will be small compared to the damage that will be done by EPA’s affordable-energy-killing CO2 rule finalized recently. Acting on their pretend knowledge of the future, the EPA issued the final version of the Clean Power Plan (CPP). The plan targets CO2 emissions but its supporters do a lot of hand waving to make people think CO2 is dirty. It isn’t. Carbon dioxide is colorless, odorless, and non-toxic. Without CO2 there would be no green plants. That’s right, Simba, without CO2 there would be no circle of life. CO2 is also a necessary byproduct of getting energy from hydrocarbon fuels like natural gas, coal, and petroleum. Natural gas and coal provide two-thirds of the electric power generated in the U.S. (petroleum is a non-player in power generation, accounting for about 1 percent of generation). And there’s the rub. In the U.S we have centuries of coal and gas reserves, but the CPP forces us to turn away from these most abundant, affordable, and reliable sources of electric power. Taking a fuel like coal off the menu will only drive up the price of electricity and generate economic ripple effects that will cut income and destroy jobs. Previous studies of similar policies to cut CO2 emissions (for example: here, here, here) find the job losses are measured in the hundreds of thousands (sometimes millions) and aggregate losses in gross domestic product that can reach trillions of dollars over a decade or two. These losses are after accounting for any gains there might be in the politically preferred green energy sectors. No matter how you slice it or spin it, cutting recklessly cutting our ability to use coal and natural gas will drive up costs and cut income. The final kicker is that all the lost income and the lost jobs will, rounded to the nearest tenth of a degree, have zero impact on global warming (the supposed bugaboo motivating the CPP). 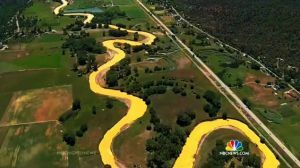 To help understand the problem that caused the King Gold spill, maybe the Little Dutch Boy should be required EPA reading. For the disastrously useless CPP, reading The Little Match Girl would be more appropriate. Next post: Clean Energy Incentive Program: New Unlawful Element in EPA’s Power Plant Rule?